On Monday we showed a couple of spirits products containing meat, in the form of Mezcal worms. 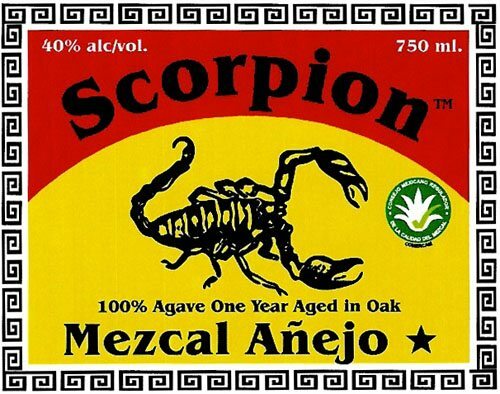 Today we have a variation, Mezcal with a scorpion. Is the scorpion harmful or poisonous? No, the scorpion is not harmful or poisonous. The stinger has been removed. In fact, this product has been FDA approved! … We do not recommend eating the scorpion but if consumed please chew it up adequately before swallowing. Does the scorpion change the flavor of the Mezcal? No, the full smooth flavor is retained and the scorpion imparts no flavor. The scorpion novelty is successful for gift markets and creates immediate interest in the product.